Oconto Falls Municipal Utilities is dedicated to meeting our customers’ needs while helping to make the community a better place to live and work. We are one of the country's 2,200 public power systems — a utility owned by the community it serves. As a non-profit public power utility, we have one main purpose — to provide customers with the best services at the lowest possible cost. 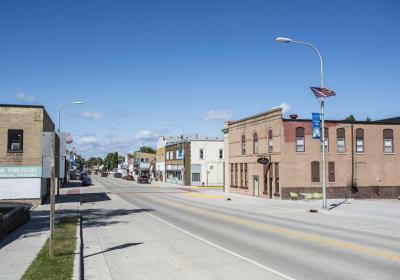 A five-member Utility Commission, appointed by the Mayor and approved by the City Council, decides how to operate Oconto Falls Municipal Utilities. This local representation and control allows all citizens to have a voice in how our utility can best meet the community’s needs. We are proud to be your locally owned and operated utility. As neighbors, we take our responsibility to you very seriously. We know you want reliable power at an affordable cost. You also want a utility provider who cares enough to go the extra mile today…and who has the know-how to build for tomorrow. Hamilton and Staff, a respected, national public opinion research firm, recently conducted an independent nationwide poll to learn what people think of public ownership of utilities. The results were simple: "A majority of U.S. consumers believe that public power is more concerned about the environment, offers lower rates, allows more control over utility operations and has better service than private power companies. The public believes local ownership of electric utilities plays a strong role in the electric industry."